On the other side of the bank was the Gillette building. 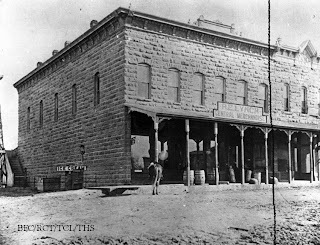 It is believed that a leaky shipment of kerosene in the Gillette store caused the great fire of 1897 that nearly burned down that entire side of the town. 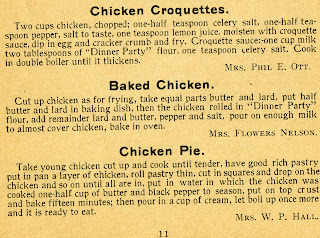 The "fire alarm" back then was gunshots fired into the air. A bucket brigade was the only means they had at that time to try to put it out. 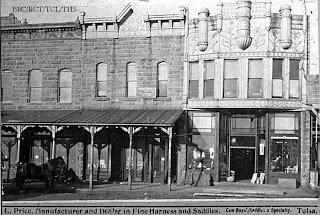 The Lynch building somehow survived, but the bank and other buildings had to be rebuilt. 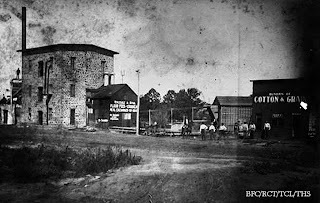 Here you can see the Lynch building on the left, the spot where the bank was in the middle and where the Gillette store was on the right. They were quickly rebuilt. 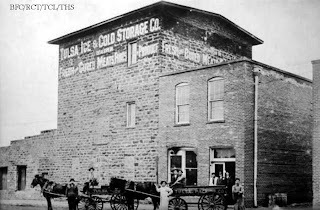 Two years later Tulsa had a Fire Station. 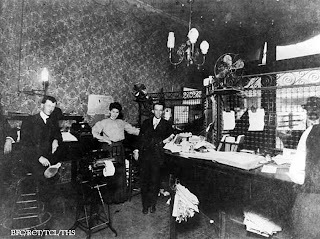 In 1905 the bank moved into a new 5-story building at 2nd and Main complete with modern gas lights and electric fans. 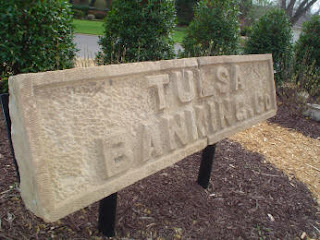 The name was changed to First National Bank. Left to right: R. T. Epperson, A. F. Hendren, Miss Vona Clay, C. W. Brown and W. R. Ritchie. 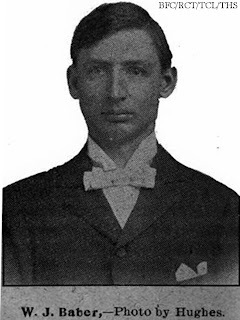 Both Epperson and Brown were Forsythe's sons-in-law. 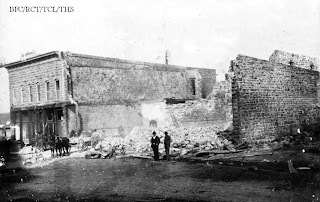 The buildings were still standing until Urban Renewal took them down in 1970. 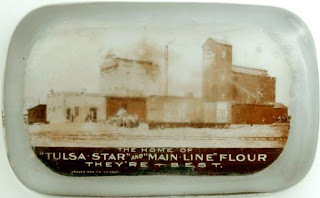 Jay Forsythe also built Tulsa's first flour mill on West First Street. 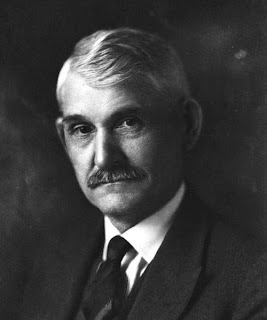 The first mill manager was W.J. Baber. 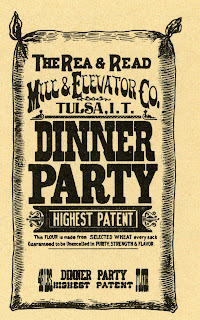 Edward Rea, a successful mill owner/operator opened the Rea-Read Mill & Elevator Company on East First Street..
Eugene Coker, an expert in the milling business, managed the mill which became one of the foremost corporations of its kind in the eastern part of Oklahoma. 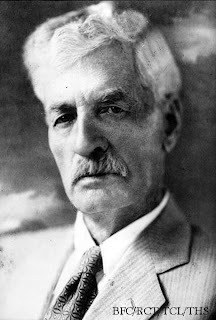 In 1913 Coker purchased a third interest in the company. 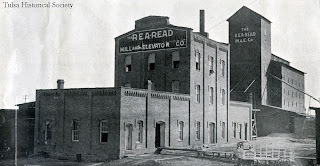 In 1916 it was reported in the Tulsa World that the Rea & Read Mill & Elevator Company produced 500 barrels per day. 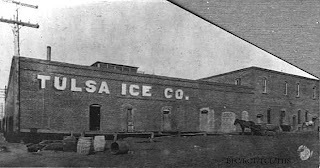 reopened it as Tulsa's first ice plant in 1901. And probably most notably: Forsythe, J.M. 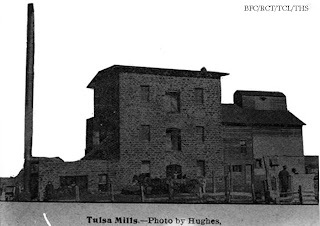 Hall and other Tulsa pioneers purchased the former Presbyterian Mission School, holding the deed at no interest until the city could repay the purchase price, to use for Tulsa public education. 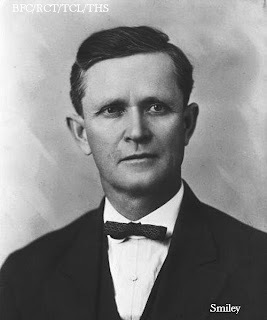 Mr. Forsythe was an active Tulsa civic leader up until his death on August 26, 1936 at the age of 89.
fascinating information!!! It's such a shame that Urban Renewal had to take those beautiful, old buildings down. 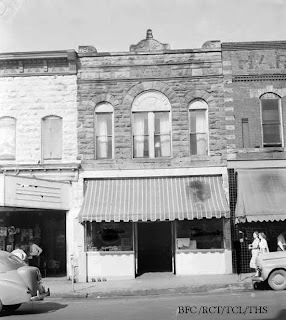 The building on the other side of the bank from the Lynch store had decorative Sheet metal facing on top. It reminds me of the Cobb building in Wagoner which is still a landmark there. 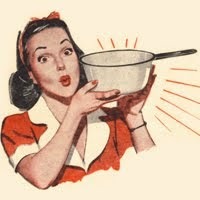 The engineer in me wonders how they produced electricity back then and how they produced ice and kept ice cream frozen. Interesting post, thanks.